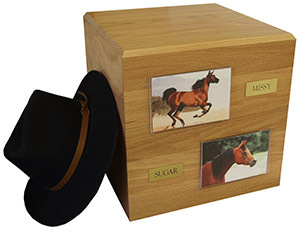 Forever Pets is pleased to offer our equine cremation urn. Constructed from solid red oak lumber, this urn measures 13.5" x 13.5" x 13.5" and holds the cremains of up to a 1,900 pound horse. 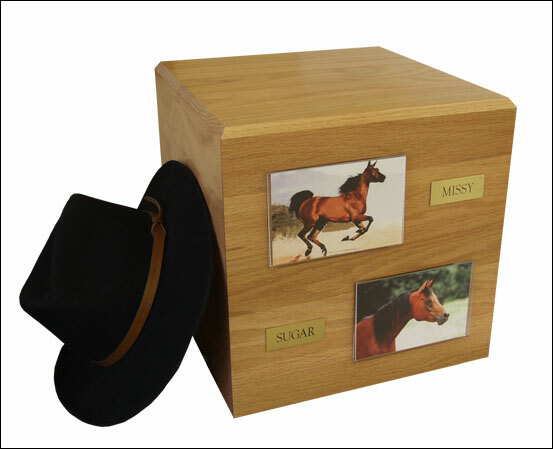 Your beloved friends ashes are installed through the removable bottom panel which is secured with screws. The smaller 12.0" x 12.0" x 12.0" size is more appropriate for horses weighing up to 1,200 pounds. 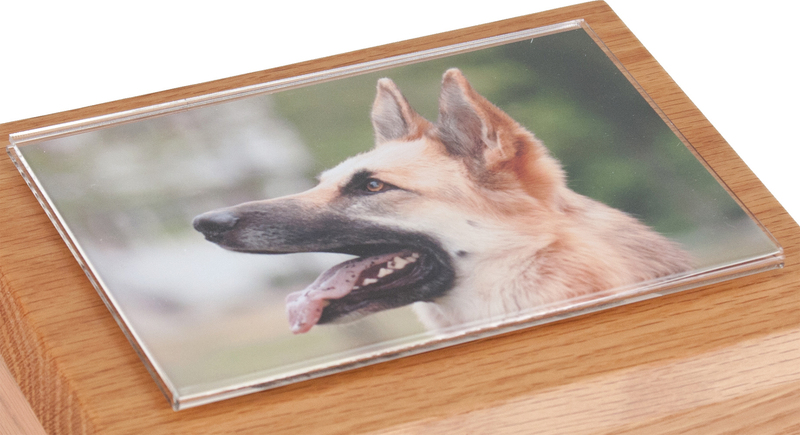 Each urn comes with (2) unattached 4"x 6" photo holders which you can attach in either a vertical or horizontal position depending on your personal preferences (double sided tape provided for easy attachment). You also receive (2) engraved brass nameplates for personalization at no additional charge. Many owners personalize the urn with shoes or other tack belonging to their fallen friend. We attempt to ship all orders placed by 11 a.m. the same business day from St. Paul, Minnesota. Otherwise, your order will ship the next business day.